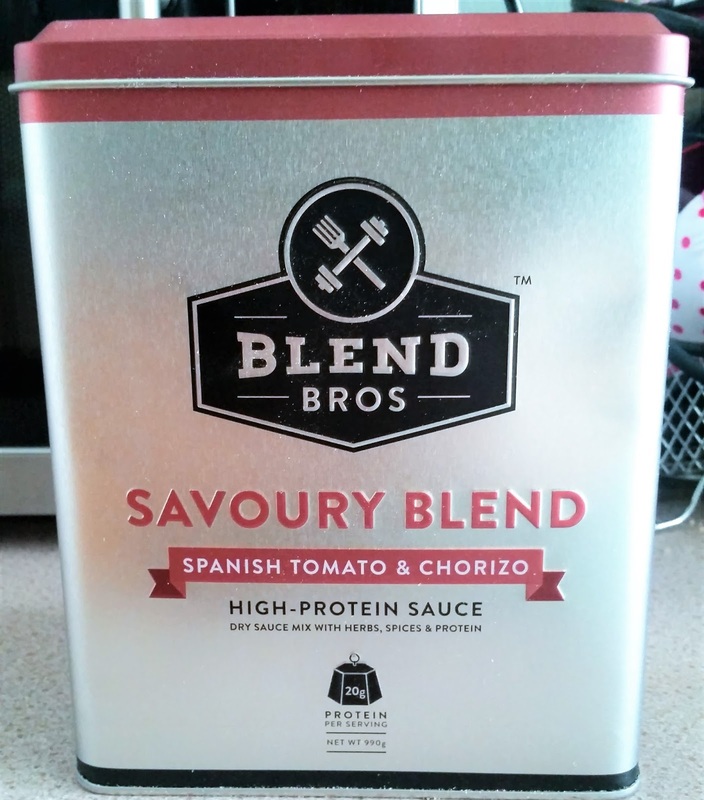 Blend Bros sent me some samples of their new Savoury Blend high-protein sauce. There philosophy is to help bridge the gap between fitness and the kitchen whilst introducing protein to your diet without breaking the bank. There tasty sauces are a blend of quality tasty herbs and spices with 20 grams of pure pea protein, in every serving. mix with water and microwave before adding it to a meal or use boiling water. 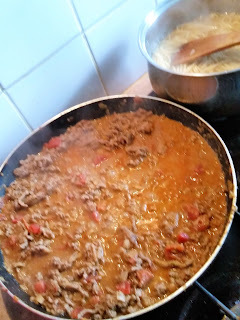 Both techniques work really well as this sauce mix dissolves ( no lumps) really well. 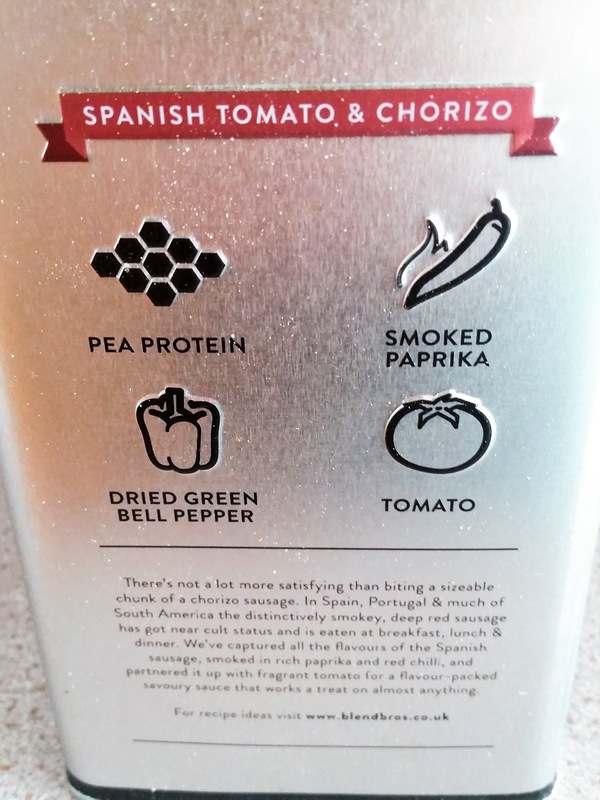 The Spanish tomato and Chorizo is bursting with its unique smell before you have done any cooking. This really captures the heart of Spain's famous Chorizo sausage with its smokey flavouring partnered with dried green pepper, paprika and tomato. This sauce is delicious! 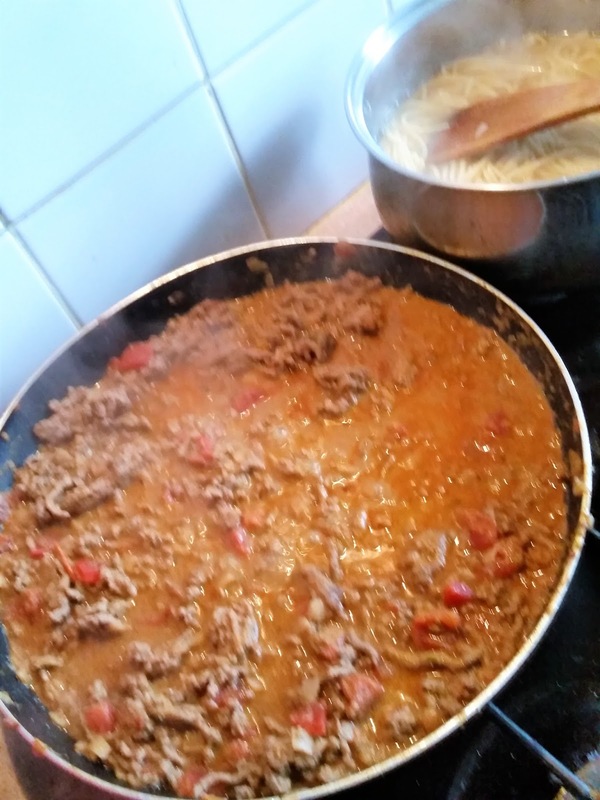 This sauce is really diverse and can be used in stews, casseroles and i have used it in spaghetti bolognese. The packaging i really like, the tin is quite sturdy and hardy and wouldn't look out of place in any ones kitchen! In the tin you will receive the product that is securely in wrapping and also a handy scoop to help you with transferring the powder to mix up. 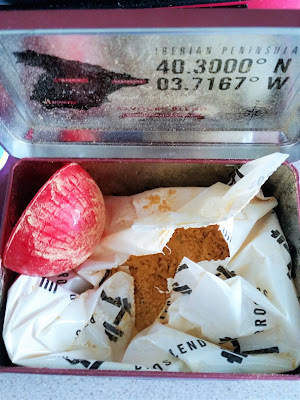 Once you are done the tin lid pops back down securely and keeps the sauce powder dry and safe. 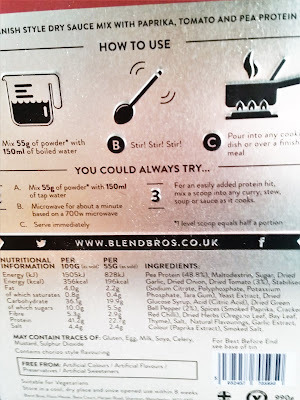 Mix 55g of powder* with 150ml of boiled water. Pour into any cooking dish or over a finished meal. All you have to do now is get creative and find out what sauce you want, to go with your meal to experience a whole new taste that you and your taste buds haven't experienced before. There are many flavours to choose from and this mighty tin packs a powerful punch! 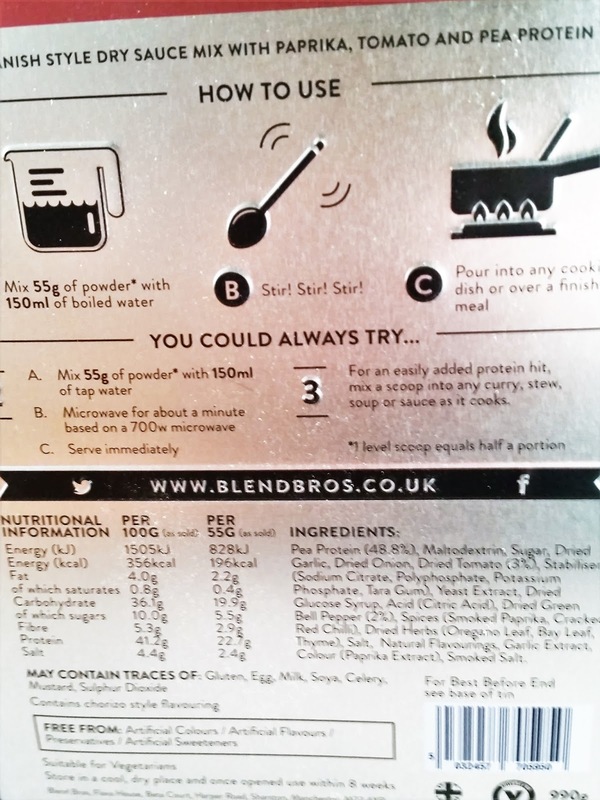 The Blend Bros are also suitable for vegetarians. To find out more please click on the links provided.